Hello welcome to my series of quick takes designed to get you ready for Eurovision 2019. Just some quick thoughts / my take on each of the 41 songs this year. The countries are in alphabetical order so without further ado: Montenegro. I feel kind of awful about how much I don’t like this song. It’s sung by several 18 and 19 year olds who deserve much better than this extremely tepid outdated soft ballad. This is something I would almost expect to hear on a soft Christian spotify channel and it would make me cringe less than its place in Eurovision. The only way to stage this is basically for them to all sing in a line or maybe turn and sing to each other but even if the song material wasn’t vapid and vaguely religious, the problems with this song are numerous. I’ve seen this live and no one is the “star” in this in that everyone is about high school chorus good. There’s nothing exceptional about anyone’s voice or performance, there’s nothing exceptional about the song, and worse yet, this is a song that would probably be much better served as a solo or a duet and when you add more people to it you lose all potential and interest. There’s a reason most ballads are solos or duets and its because you end up with something like this if you add more people. It reminds me (uncharitably) of Argo’s “Utopian Land” (Greece 2016). It has the same muddled vaguely ethnic-ness about it, the same too many cooks in the kitchen, the same lack of counter point to bring any interest to the song. Anyway this is three minutes of white noise basically and I don’t think that’s a fair thing to do to under 20s. Hello welcome to my series of quick takes designed to get you ready for Eurovision 2019. Just some quick thoughts / my take on each of the 41 songs this year. The countries are in alphabetical order so without further ado: Moldova. This song drives me nuts because it’s pinging me so hard for some song I heard on the radio in the 90s. Maybe something by Celine Dion or someone in that area of vocals. It’s definitely trying to bring back 1990’s power ballads and Anna’s voice is really doing the heavy lifting. The problem for me is that this song just never gets off the ground. I’m always waiting for the big moment but then it’s the end of the song and I’m left fairly cold. The 90’s worked for Moldova last year but I don’t know if this really taps into the parts of that decade that anyone wants to remember. This wants to be a Celine Dion “Power of Love” but without the stunning off-hand charisma, the staging production, or the driving melody “Stay” ends up as a tepid-watery version that feels more like when you’re trying to remember the lyrics to an old song than the actual song itself. This should have been in my wheelhouse and it might have been if the sound had been updated to something more contemporary but this soundscape is probably best left in the 90s. Hello welcome to my series of quick takes designed to get you ready for Eurovision 2019. Just some quick thoughts / my take on each of the 41 songs this year. The countries are in alphabetical order so without further ado: Malta. This is basically my Macedonia 2018 of 2019. The first time I heard this I couldn’t make heads or tails or it. I thought it was like Replay, like Fuego, like a giant messy ball of songs that didn’t really go together… and so on but actually after the second and third listen I’ve decided I really enjoy this. It’s got a very interesting almost reggaeton vibe to the chorus contrasted with the a tense dance vibe during the verse. At the end of the day I actually think this song might have more in common with “Toy” than “Fuego” in terms of feeling and cadence but that’s not what is important, what’s important is that this gives me really cool vibes. I think with the right staging (a feat Malta managed really well last year even though they didn’t qualify) this thing could really do quite well. Michela’s vocals were really good in all the appearances I saw her in and the song is so unique it should easily stand out against plenty of others. If anything tanks this it will be that either the stage direction or the clash between the chorus and verse is too much for people and I could easily see them dialing back on either to make sure that the whole piece works. I’m not usually excited about Malta’s chances but I think this could get to 10-15 at the finals with the right running order and that wouldn’t be anything to sneeze at. Hello welcome to my series of quick takes designed to get you ready for Eurovision 2019. Just some quick thoughts / my take on each of the 41 songs this year. The countries are in alphabetical order so without further ado: Lithuania. I’m going to be the first in line to tell you that this is cookie cutter song. This is a mix and match of songs that are on the radio from the past five years and in a way that doesn’t really work. It doesn’t end up with a “personality” because there’s not anything to latch onto. It has a lot of repetitive lyrics, it’s got the weird cha-cha-cha shaking sounds, it’s got falsetto, it’s got overlapping female vocals, it’s got a pre-chorus that gets quiet before the chorus does…the same thing but now with slightly more backbeat. Oof. This is just a generic song and Jurji is far better than this song deserves. I wouldn’t say that Jurji is really do anything to help the song specifically as he doesn’t really connect with me either but his vocal performance is one of the better ones and he basically crushes this song vocally in a way that some of the other performances doing these very cookie cutter songs seem to fail at. It’s pretty easy to fall into the Eurovision trap of having a radio-play song that isn’t sung well and sometimes those get high marks but Lithuania has an uphill battle with this song. I doubt it’ll make it out of the semi alive without amazing staging and a retooling of the song (neither of which is going to be coming any time soon). Kind of a waste of a good performer honestly. Hello welcome to my series of quick takes designed to get you ready for Eurovision 2019. Just some quick thoughts / my take on each of the 41 songs this year. The countries are in alphabetical order so without further ado: Latvia. When I ranked all the songs the first time I was actually really surprised how high this song was for me but it is certainty a “grower” of a song. There’s not going to be a flashy stage show along with this piece but it has a beautiful folk quality that is as easy going as it is unstated. The piece feels finished in a way that Eurovision songs often don’t. The lyrics are surprisingly nice as well and don’t lean too far into cringe. I think this was qualify because its in the easier of the two semi finals but it might be an edge case and if it does I wouldn’t be shocked to see it get stuck around 20th. There’s just not enough bells and whistles. A subdued stage preformance is likely, the vocals are polished but also quiet, and the mood is an even keel the entire time with no big moments or shocks. What I like about this song is the same thing I liked about “Calm Before the Storm”. It knows what it is and where it’s going and it’s just going to stay the course and give you the exact performance they want to put out. There’s something really appealing in a song that isn’t trying to be plastic to fit better into the mold. I don’t know if this is anyone’s #1 per se, but it’s easy to listen to if nothing else. Hello welcome to my series of quick takes designed to get you ready for Eurovision 2019. Just some quick thoughts / my take on each of the 41 songs this year. The countries are in alphabetical order so without further ado: Italy. It’s my favorite – everyone else can go home. No, that’s not fair. Anyway I pretty much instantly connected with this song on a handful of levels and I’m so happy to see something that seems perfectly content to do its own thing at Eurovision. I don’t know how the jury will react to Mahmood’s almost-rap piece about his absentee father but I think this will really connect with audiences. Mahmood is wonderfully soulful singer with a soft, enchanting voice and while the lyrics in the verse may be too complex to catch for non-Italian speakers the repetitive portions of the song make it so that almost anyone can latch on to one of the hooks. The clapping sound also might be a really good entry point for people at home to get into the vibe of the song. I’m not sure this will be the winner at Eurovision but it’s very likely to be in the top 10, the problem is probably the jury with this song. It’ll likely connect with viewers but due to the language barrier, the modern nature of the song, and Mahmood’s style and attitude I don’t know how the jury will respond to something outside of the pop dance – ballad continuum (it’s usually not well though). I think this will likely have a minimal staging but I hope they bring in some elements to help people understand the lyrics to drive this song home. Hello welcome to my series of quick takes designed to get you ready for Eurovision 2019. Just some quick thoughts / my take on each of the 41 songs this year. The countries are in alphabetical order so without further ado: Israel. Someone in one of my Eurovision groups referred to Kobi’s voice as a haunted chimney and I am never going to be able to unhear it. That being said, I don’t think that’s actually a bad thing. Kobi has a really interesting and layered vocal performance that tends toward these really cold but controlled sounds but with the stark and stripped down “Home” that’s a big plus. This is probably mostly jury bait which will be ignored by the audience at home unless the performance is perfectly paced and shot to let people connect with him but that’s alright. The song is very musical but it feels strangely modern as well, you wouldn’t be too shocked to hear this on a Spotify playlist for 50 year old housewives. It’s a pretty strange match for someone this young but he is doing a great job trying to meet it where it stands. 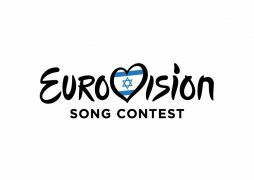 If Israel wasn’t qualifying automatically I’m not sure this would have gotten out of the semi finals but I won’t be sad to see it in the final line up, it’s a perfectly pleasant piece with some potential to be touching. Hello welcome to my series of quick takes designed to get you ready for Eurovision 2019. Just some quick thoughts / my take on each of the 41 songs this year. The countries are in alphabetical order so without further ado: Ireland. This is a cute little diddy out of Ireland but it’s got basically nothing anyone is looking for in a Eurovision song. There’s no stellar vocals, there’s no big dance number, there’s no ear catching hook and it’s horribly out of date. The song is basically a bad match for Sarah McTernan’s voice since she can’t seem to give it enough power to turn the song into something more than just a three minute plod. I think this was written with the Megan Trainor vibe implied but Trainor’s biggest hits are already a half decade behind the times and the retro feeling in the song isn’t matched with style or energy. “22” ends up a kind of standard “I will always love you” song that seems tepid on both the love AND the always parts of that thesis. I think Ireland would have to pull a whirlwind staging again in order to have this get anywhere near the momentum it needs to cross into the final and without the power of gay dancers and vocal prowess they had last year, this is more than likely going to get held back. I will likely not remember this song in a year or two which is somehow much worse. Hello welcome to my series of quick takes designed to get you ready for Eurovision 2019. Just some quick thoughts / my take on each of the 41 songs this year. The countries are in alphabetical order so without further ado: Iceland. The most important thing to remember when considering this entry is that you can only vote for things you like, you cannot vote against things you do not like. This works well in favor of what I would call “specialty” songs, songs that fall outside the ballad, pop, and pop-ballad that regularly show up in Eurovision’s stable of qualifiers. It worked for Georgia’s psychedelic inspired rock in 2016 and especially for Hungary’s metalcore song last year and the odds are pretty good it’s going to work for Hatari this year as well. Personally I love this. The stage show is fantastic, the costumes are fantastic, the message is intense and strangely delivered but also really fantastic, and everyone’s singing is top notch. I think this delivers exactly what Eurovision needs which is a three minute cohesive story told dramatically to music. If you look at what makes a Eurovision winner that’s all the key pieces. This is not a winner by any means (and I wouldn’t be terribly shocked if it gets stuck in the semi-finals) but this is a really well crafted piece of music and an even better crafted idea. It’s nice to see something like this at Eurovision because it always influences more diversity of sound in Europe. Hello welcome to my series of quick takes designed to get you ready for Eurovision 2019. Just some quick thoughts / my take on each of the 41 songs this year. The countries are in alphabetical order so without further ado: Hungary. The first time I heard this I thought that maybe I was just biased against whistling but one of my favorites from Switzerland had a whistling chorus in it so it’s not quite that. This is a pretty meaty song and it has the same folksy but modern quality that brought Joci to 8th place last time he was at Eurovision. I think of the two songs this one is MUCH weaker. Both song share a lot in common including large wordless portions of the song filled by “instrumental” and I still don’t love that. The whistle hook in this song you may have guessed, sounds very commercial and because of that it does not work for me but I do like the verses quite a bit. The staging was a little muddled at A Dal so maybe they can clarify it a little – though again, I found his staging in 2017 to also be too busy for my taste. I think sticking to his guns isn’t a terrible idea and its likely to lead to a second qualification.